Were your locked out of your vehicle? Do you need immediate assistance with a lock-related issue with your automobile? Let us resolve your lock-related issue with out team of locksmith experts. It happens all the time. You are busy getting the children out of the car and lock your keys in your vehicle. Maybe your spouse told you they had the keys, but did not. Now you need to find your lost keys. It does not matter what your lock-related issue is, you need an automotive locksmith to assist you in resolving your issue. .Lockout service: Changing technology is constantly improving the way we open our vehicles. The locks on our vehicles are also becoming more complex and ever-changing. Still, you may leave your keys somewhere in your vehicle such as the ignition or trunk. We will respond immediately and open your vehicle with no damage to the locked area such as the trunk lock. .Key replacement: Key replacement occurs when you need a lock change because of a specific reason. Maybe someone has access to your vehicle keys and you need to a lock change. You may need a keyless lock, transponder key, smart key or key for an older model vehicle. We will make new keys on spot to resolve any lock-related issue you have. Another common problem ours when your key is breaks in the ignition. Keys seem like they are unbreakable, but sometimes they are worn out or the force used to place the key in the lock can cause it to snap in half. Our licensed vehicle lock experts are available to help you 24/7 with all you vehicle key extraction needs. We will do this without causing any harm or scratches to the locked area or your ignition. .Transponder key programming: Replacing your vehicle’s transponder key is different from creating a new metal key. The process of programming your transponder key is very detailed and should not be done by anyone who is not a trained locksmith. 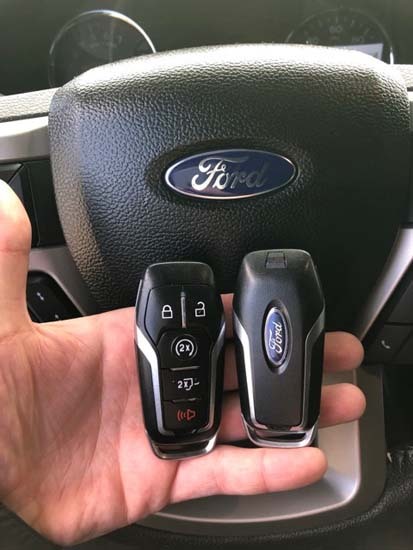 Whether you need your transponder programed because it does not work properly or because someone else has access to your vehicle, we will resolve you lock-related issue. We are a fully licensed shop with quality on-site service. Vehicle lockout, pickup truck lockout, SUV lockout and keys locked in your trunk are some of the locksmithing services we offer. Our highly well-trained locksmith technicians are on call to provide you prompt service at an affordable price. Call (775) 507-7177 night or day for assistance. You may not think about great deal about the availability of a locksmith service until you have a lock-related issue outside of business hours. Unfortunately, any time you are locked out of your vehicle, it is usually during late night or early morning hours. Not ever locksmith team in the USA is available 24 hours a day, 7 days a week. This can cause you to become impatient. You have the right to call a locksmith team that is knowledgeable and experienced any time you need them. You need a locksmith team that is not only available night or day, but actually knows how to resolve your lock-related issue promptly. They should be able to review the lock-related problem, diagnose the problem and breakdown the prices before any work is started. The price should always be upfront. No hidden fees. No surprise rate or gimmicks. They should also have the experience needed to resolve any lock-related issue on any foreign or domestic vehicle. It should not matter if it is a late or newer model vehicle. We are your 24/7 locksmith service. We only serve local Nevada residents which means that we can focus on getting your lock-related issues resolved promptly. As soon as you call us at (775) 507-7177, we will dispatch a technician immediately to your location. We review the problem, find a solution and provide you with upfront pricing before any work starts. Our prices are always affordable. Each of our skilled team of locksmith technicians are fully licensed. They are professionally trained and insured. Each of our mobile vans are equipped with state-of-the-art tools to provide fast and effective service to resolve your lock-related issue. In addition to the state-of-the-art tools, each of our technicians have the most up-to-date training in the USA. We take pride in offer you top-notch quality workmanship when you need it the most. Lost your vehicle key? Need a spare vehicle key? Need a lock change? Locked keys in your vehicle? Our professional automotive locksmith technicians will resolve your vehicle security needs. When you are concerned about your vehicle’s security, rely on us to resolve your lock-related issue without hassle. Contact us at (775) 507-7177 immediately. Our on-site automobile locksmith team is ready to resolve your lock-related issues regardless of the vehicle or situation. Whether it is a boat, pickup truck, motorcycles, semi-trailer, RV, security changes, call us at (775) 507-7177 today. You will receive professional, fast, high quality and honest service with the best personal attention you deserve. Whether you call in the early hours or late at night, trust that we will answer your call and resolve your lock-related issue quickly. Call us at (775) 507-7177. Why Choose Us for Your Automotive Lock-Related Needs? .We will fix any lock-related problem on any type of vehicle. Our prices are upfront and reasonable. You never have to worry about gimmicks or hidden fees. .Our locksmith experts have fully equipped vehicles to resolve any problem you have. Whether your lock-related problem is simple or complex, we have the state-of-the-art technology to resolve the problem. .Our locksmith professionals are professional, highly trained and courteous. We only hire the most experienced locksmith professionals in the area. We know you only want the most experienced professionals in the industry to work on your vehicle. .We are committed to resolving your lock issue quickly and efficiently. That is why we are available 24 hours a day, 7 days a week. We are always ready to resolve your lock-related issue. Call us at (775) 507-7177. We will dispatch our locksmith expert to your location to resolve your lock-related problem immediately.